Doctor Who 50th Anniversary – The Big Five, part two. Luckily the BBC were forced to released a very unexpected surprise after a mini-episode, a prequel to the anniversary story, was leaked earlier than planned. 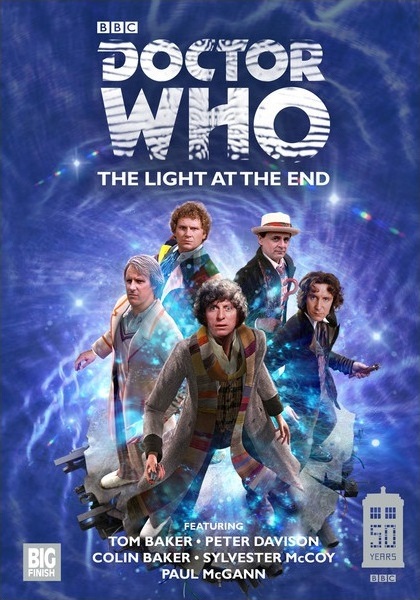 It was officially released on Paul McGann’s birthday, and what a present it was for him, and what an anniversary treat for all the fans! No one really expect this. Since 2005, when Christopher Eccleston appeared in Rose, it was the one question every Doctor Who fan wanted answer. 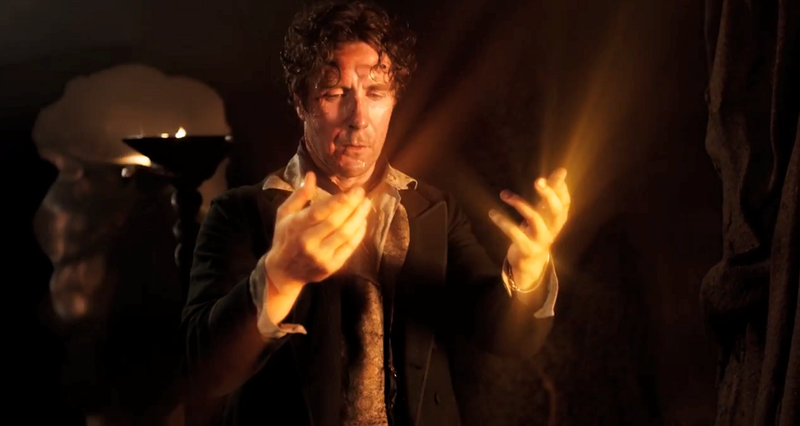 When and why did the Eighth Doctor regenerate? The obvious conclusion, based on visual evidence in that first story, was shortly before the Nu Series, at the end of the Time War. 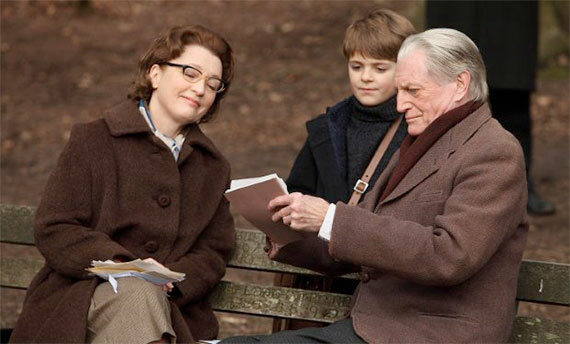 But then earlier this year we saw the end of series seven and discovered a previously unknown incarnation of the Doctor, the one who fought in the Time War, and it was John Hurt! This threw us all into a tiz, trying to work out how he fitted in the grand scheme of things; was he the older version of the Eighth Doctor, was he the Ninth Doctor (thus making Eccleston the Tenth, and Tennant the Eleventh and so on)? We were all hoping that the anniversary special would answer this, and despite McGann’s insistence to the contrary, I for one was certain he’d appear somehow. But not like this! I, like so many, clicked that youtube link to see this minisode (as they’re now called) and watched as the TARDIS rushed through space to help a ship about to crash. And like all the others, my mouth at first fell open, and then broke into a wide smile when a voice said ‘I’m a Doctor, just probably not the one you expected’ and the shot cut to Paul McGann standing there with a cheeky grin on his stubbly face. For the first time Steven Moffat (whose reign as producer has not always inspired me with confidence) was God. He delivered, in seven minutes, the best piece of Doctor Who he had ever written and produced. Finally all our questions were answered. This was the Eighth Doctor who had lived a long time past the TV Movie of 1996, who had endured much pain and loss, who had lived through the Big Finish audios (yes, for the first time since Nu Who began, the Big Finish Eighth Doctor adventures were given their place in TV canon when the Doctor names all his Big Finish companions – a lovely touch, and a most unexpected one [and one that creates more work for me, when I come to to revising my Companions book]), and was now battered and bruised by the Time War, which he refused to become a part of. At last we knew, it was not the Eighth Doctor who fought in the Time War, and it was not he who regenerated into the Eccleston Doctor shortly before Rose. 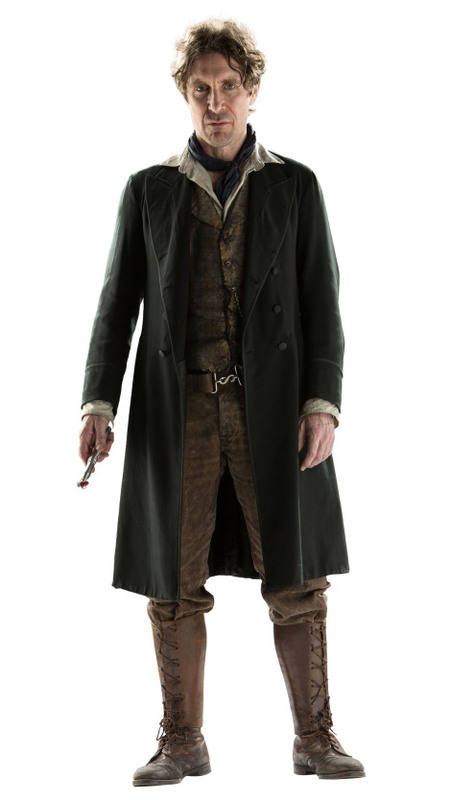 After years of playing the Doctor on audio, McGann stepped effortlessly back into the role, in an outfit that was the perfect evolution from that which he wore in the TV Movie. I had always liked the ‘dark eyes’ look Big Finish took to using, leather jacket and satchel included, and it always seemed a nice link between the old and new, but the outfit McGann sported in The Night of the Doctor changed that view for me. And his scenes on Karn were superb. Oh yes, Karn. Another surprising touch. A return to the location of the 1976 story The Brain of Morbius and the Sisterhood of Karn, a race of immortal beings who elevate Time Lord science. For four minutes the Doctor was actually dead, unless he chose to take the offer given him by the Sisterhood, regeneration or final death. It was a sad but noble performance as the Eighth Doctor chose to end his life and become the warrior needed to fight the Time War. There is really so much in these seven minutes to love. None of it was expected, but all of it so gratefully appreciated. It finally gave us that link between the ‘original’ series and the ‘new’, proving once and for all that they are but one series. And it was the moment I fell back in love with Doctor Who. Suddenly my fears of the anniversary special faded, somehow I just knew that Moffat was going to do a damn good job, and I held to my belief that we would see all the old Doctors in one form or another, and we’d see Peter Capaldi turn up (it was too much of an opportunity to pass up, in my view, a fact I told many people over and over again). 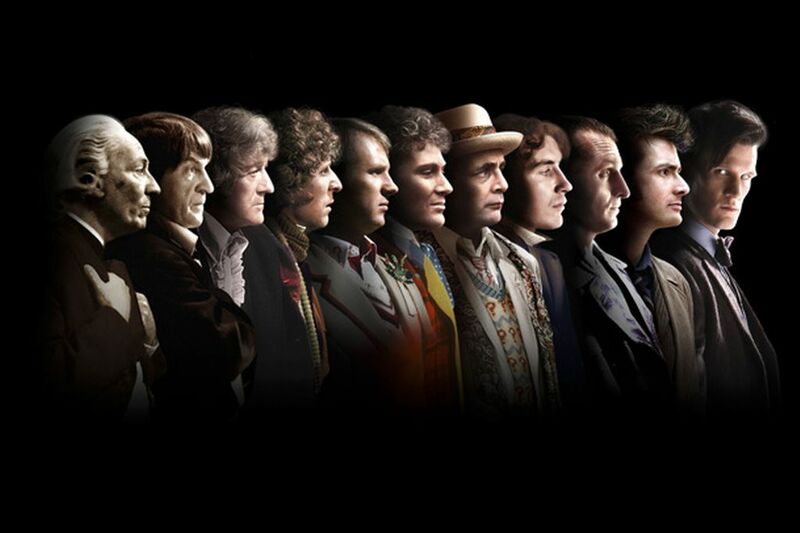 Doctor Who 50th Anniversary – The Big Five, part one. So, it’s been a week since the official anniversary of Doctor Who – fifty years of the longest-running science-fiction series in the world. And this time, it truly was the whole world, with an anniversary special shown at the same time in ninety-four countries, both on TV and (for the first time since the ’60s) in the cinema! We were treated to a whole host of shows, events and merchandise to mark the occasion – everything from books and CDs, to documentaries, conventions, TV specials, a cinema release in 3D, and special look at the origins of the series. But for me only five really mattered (plus my own book celebrating the series, but we’ll get to that later), and it’s these five that I’ll giving my appraisal of here. Hmm. How quickly one’s view can change. It took me a while to work out why I left The Light at the End feeling so blah. The story was straight forward enough, although possibly not the most well-structured. It certainly brought back a whole host of old friends, every Doctor from the first to eighth made an appearance, countless companions. Essentially all one could want from an anniversary story. At least that’s what I had always thought. but upon reflection I came to realise the problem – for me, at least. Ever since Virgin got the licence to publish original Doctor Who fiction the guest appearance of old Doctors and companions had become something of a regular occurrence. 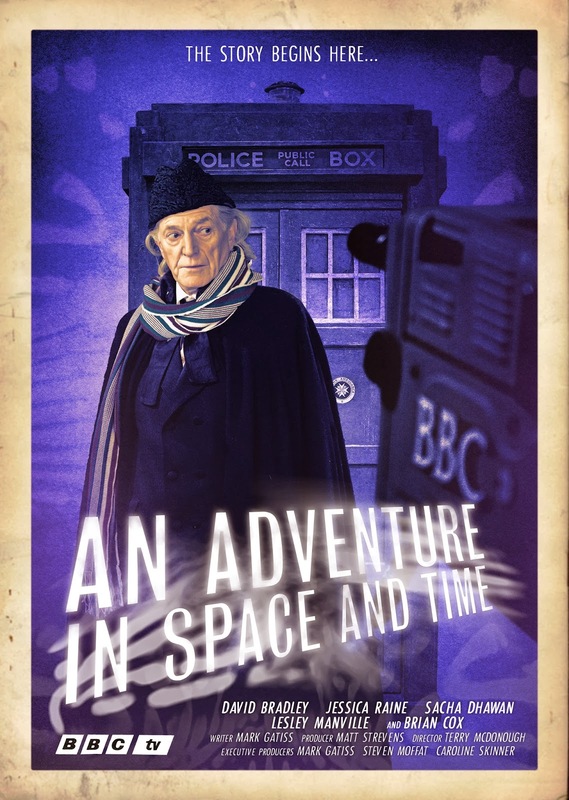 Indeed, the very first novel, Timewyrm: Genesys, featured guest appearances by the Third and Fourth Doctors. Later stories saw the return of all kinds of companions from Peri to Liz to Susan, and featured all sorts of multi-Doctor stories (although none topped Lance Parkin’s Cold Fusion which featured a bona-fide reason for two Doctors being in the right place, and a wonderful spin on how the Seventh Doctor did not recall the events already, since his fifth self was also involved – the answer was simple, he did remember!). 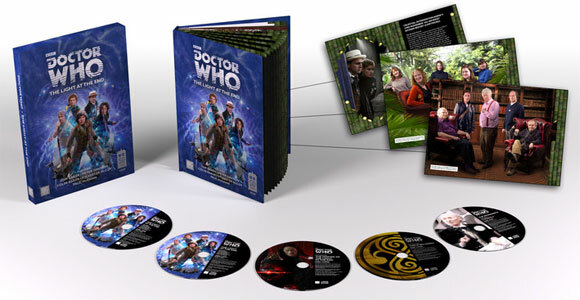 Big Finish have also featured various versions on the multi-Doctor story over the years, everything from The Sirens of Time (their very first release! Much like Virgin and BBC Books did before them), to The Four Doctors, Project: Lazurus and The Wormery. Even companions got their own stories with releases like The Five Companions. And so the problem as I see it; The Five Doctors was a success because of the nostalgia. 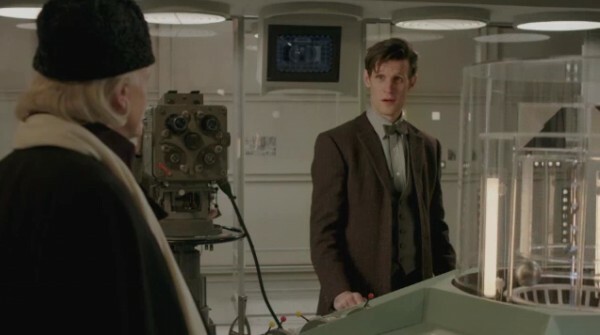 Characters we had not seen in years returned, Doctors joined forces for the first time in ten years (well, eleven really when you consider The Three Doctors was transmitted in 1972, almost a year before the tenth anniversary). In The Light of the End it’s essentially just more of the same. We hear all these actors so often throughout the year, hear these characters interact, heard the various Doctors team-up countless times. There’s no sense of anniversary or nostalgia. Linking it to 1963 didn’t do anything except offer a failed attempt to enforce a feeling of nostalgia. We can’t orchestrate such a thing; it comes from within, from the memories. Don’t get me wrong, hearing Tom Baker and Paul McGann together is fun (although the BBC were soon about to officially do something even better with these two! 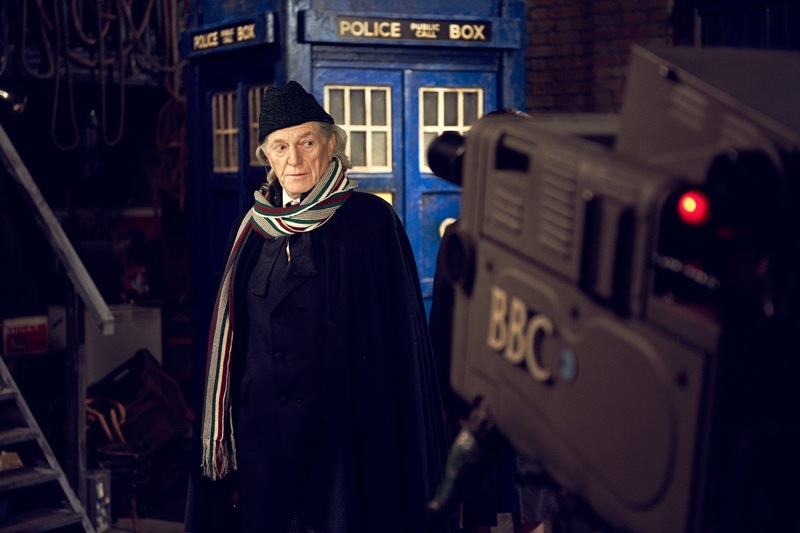 ), but having actors come in to impersonate the first three Doctors is not. I can see what was being attempted, but it felt like an insult. It didn’t help that none of the three actors sounded anything like the characters they were supposed to be (something in common with the Patrick Troughton impersonator on the upcoming An Adventure in Space and Time). I left the story with a feeling of blah, of ‘yeah, seen it all before’, and I realised that it was no longer just enough to have loads of old actors return to Doctor Who. An anniversary, to me, needed to be something different. A good story, a development of the mythos of the show, and a sense of nostalgia. Enter the BBC’s first surprise… Coming in part two.